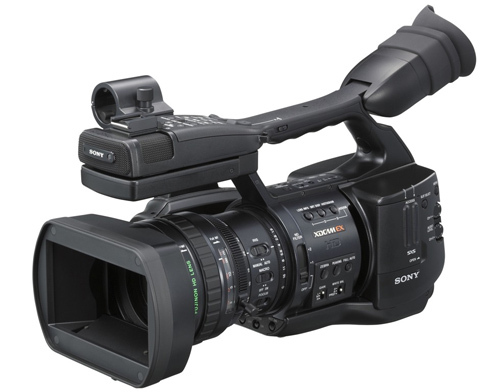 The Sony PMW-EX1 is a flash-memory based high definition camcorder capable of a variety of frame rates and resolutions using Sony's new XDCAM-EX intraframe codec. The Exmor 1/2" CMOS sensors used in the PMW-EX1 provide unprecedented levels of image clarity previously unavailable in the prosumer market. Sony's sophisticated SxS Pro memory cards add a unique dimension to almost any production. INCLUDED IS ONE 8gb CARD. Additional cards 8gb and 16gb are available on this page. Enhancing both usability and workflow efficiency, the PMW-EX1 has an extensive set of features that push the boundaries of traditional handheld cameras, including a continuous record time of up to 140 minutes! Whether shooting in 720p, 1080i, or 1080p modes, the PMW-EX1 has it all covered. Its bevy of output settings lets users take advantage of fast and slow motion, as well as popular framerates such as the "film-like" 24p mode. Includes one 32gb SxS Sony Memory Card + three batteries and charger. WARNING!!! The 32gb SxS cards will function only in Sony EX1 cameras with firmware upgrade to new version 1.11 (All Budget Video cameras are upgraded).